MOST LIKELY IT WAS HIZBULLAH ITSELF WHO KILLED HIM, SINCE HE WAS WANTED BY THE ICC AND HE KNEW TOO MUCH THAT WOULD HAVE INCRIMINATED MANY PEOPLE AT THE TOP INCLUDING NASRALLAH HIMSELF AND ASSAD! THINK ABOUT IT, HOW COULD BADREDDINE HAVE BEEN KILLED ALONE BY WHAT HIZBULLAH ITSELF DESCRIBED AS "A HUGE EXPLOSION"? 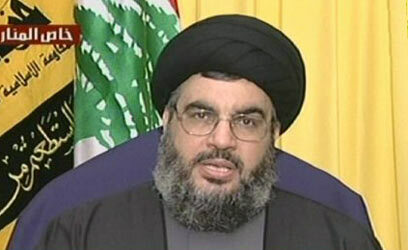 HE WAS IN A SECURE HIZBULLAH FACILITY IN A MOST SECURE AREA AT DAMASCUS INTERNATIONAL AIRPORT. THE SYRIAN OPPOSITION IS AT LEAST 15 KM AWAY AND DOES NOT HAVE GUIDED MISSILES TO TARGET ONLY ONE INDIVIDUAL!